Nearly black foliage!� Garden favorite that produces outstandingly bright blooms.� Easy to grow and does not require any staking. 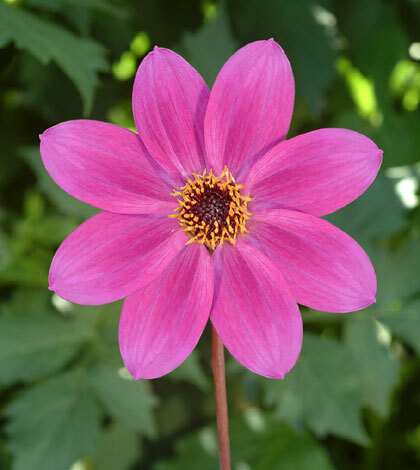 Royal Horticultural Society Award as best new dahlia 2009. From Dr. Keith Hammett, Auckland, NZ.